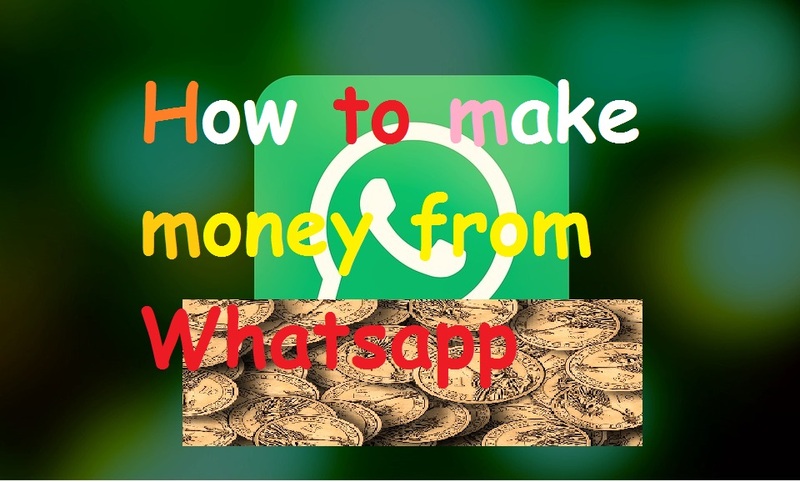 Home» Make Money » [Make Money] How to earn money from WhatsApp? [Make Money] How to earn money from WhatsApp? Hello guys, like you know that Whatsapp is a best chat messenger. Which many people in the world use for chatting. Do you know how much money can be made from WhatsApp? To make money from WhatsApp, you just have to work hard, and the hard work is that you must have at least 3 thousand WhatsApp User's number, the more you have the number of WhatsApp users, the more money you have. Make money, besides WhatsApp, and join your friends' Whitespop Group. Friends, if you also want to earn money from WhatsApp, read this post to the last. [Make Money] How To Earn Money On Facebook? If you are thinking that you will get money from the number of Whatsapp user, then that is not so. There are different ways to make money from WhatsApp. There are so many ways to earn money from WhatsApp, but I will tell you the five most popular ways here. Link Shortening Tools means shortening a link. Below are some links - www.google.com, you can create goo.gl/ksjd with the help of the short link tool. Now you may be wondering how it will give us money. So let me tell you. With short link tools you can easily earn money. There are many such Link Shortening Services, such as Shorte.St. These services allow users to attach any links to different Web Properties. Clicking on any of these users will give you money. After registering, look for the good content, which is Authentic, and the stuff that people like. Once the content is found, you can shorten its link with the help of Shorte.St, and then share that link in the WhatsApp Contacts and Whatsapp Groups. In affiliate marketing, we have to sell a company's product, which we get commissioned. If someone buys that product on our say First of all, companies that sell online products such as Amazon, Flipkart, create affiliate account. Then we can send on the Whatsapp by creating an affiliate link to the product that we have to sell. Then we will get commission of the people who buy that product by clicking on that link. Referring Recharge Apps means that when you install an App for your friend, that app will give you money instead. Many such recharge is available in the App market which gives money to refer. Assume an App 'True Balance' which gives 10 rupees to install a friend. Then install it on your phone and then create your account. After the account is created, you will get a Refer Number or Refer Link. Share it in your WhatsApp The more people who install that app from your Refer Link, the more money you get. It will not give you direct cash but will give 10 recharge in your account. If 50 men install this app from your referral 500 will be income. There are many more apps in this way too. PPD stands for Pay Per Download. PPD networks give you money if you download any files uploaded. There are many PPD Websites, but the best OpenLoad.Co.OpenLoad is called the best PPD Network because in it you get very high Payments, and signing it up is also quite easy. In order to earn money, you have to upload a file, like Movie, Images, Songs, Documents, etc., on Openload Site, and then share its link with WhatsApp Groups and Contacts. Whenever someone downloads your file from that link, you will get the money. You can ask for money in your bank account. If you have more than 2,000 number of WhatsApp numbers then you can promote any company, school, product, for this, you can take good money from the promotions you want to make.